September was a very interesting month and a very good month for connecting the dots – including international dots. On September 11, I boarded a plane headed for Trinidad and Tobago, more specifically Port of Spain. 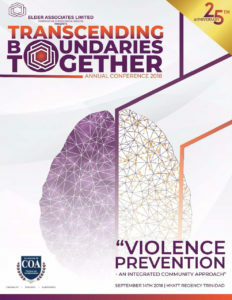 My trip to Trinidad was to be the keynote speaker for the Transcending Boundaries Together with a focus on “Violence Prevention: An Integrated Community Approach”. It was an honor to be part of this international conference focusing on preventing violence and an honor to share the stage with Dr. Patricia Elder who is the founder and CEO of Elder Associates Limited. Dr. Elder is a true visionary seeing the potential and the need for a community-wide effort with preventing violence. The other speakers were also leaders in violence prevention and they included Ms. Renee Cummings, Major Sarwan Boodram, Sensei Steven Jimerfield, and Dr. Sharon-Ann Gopaul McNicol. At the Trinidad conference, a new and exciting pilot program was announced for Trinidad that will be focused on preventing violence in communities and schools. The Awareity Community-wide Connecting the Dots Platform will be part of the pilot along with the breakthrough First Preventers program focused on preventing incidents before they happen utilizing an integrated community approach consisting of students, faculty, staff, parents, community resources and community members as First Preventers. On September 21, I attended the GSX 2018 Security Cares Grant Award ceremony at Miley Achievement Center in Las Vegas. As part of the ASIS/GSX world-wide conference and the ASIS School Safety & Security Council, I was honored to be part of the grant presentation of $30,000 plus in-kind donations to Principal Joanne Vattiato and to Assistant Principal Tia Taymar. They are doing great things with the grant and they are making their school safer for students, faculty, and staff. 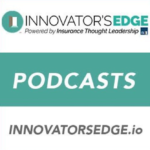 On September 24, the GSX 2018 conference with 22,000 attendees kicked off and I was honored to be speaking on all three days of the conference. First, I was part of the “School Security: Beyond the Headlines” panel discussion that was live-streamed around the world. Jason Destein, Chuck McCormick, and Jenni Hesterman and I are all members of the ASIS School Safety & Security Council and we had a great question and answer session. Second, I was part of a panel discussion on “Social Media and Threat Intelligence”, which included Toni Chrabot (Risk Confidence Group) and Scott Stewart (Stratfor). And third, I presented “A Game-Changer in Security & Safety – Connecting the Dots Community-wide” where I shared the next level and next big thing in security and safety. Stay tuned for the recordings of these sessions as soon as they are released. At the GSX 2018 world-wide conference, Awareity officially announced our Global Reseller Program. The feedback we received has been very impressive and supportive as everyone seems to agree that better PREVENTING is needed and preferred over RESPONDING. Awareity will continue to build Reseller relationships and collaborative efforts to help more organizations and more communities with First Preventer programs and Awareity’s Community-wide Connecting the Dots Platform for First Preventers. Next Post: Thousand Oaks, Pittsburgh, Parkland, Vegas… WHY Do Bad Things Keep Happening?